Red is known to be the color of the Communist movement and of the Russian Revolution. 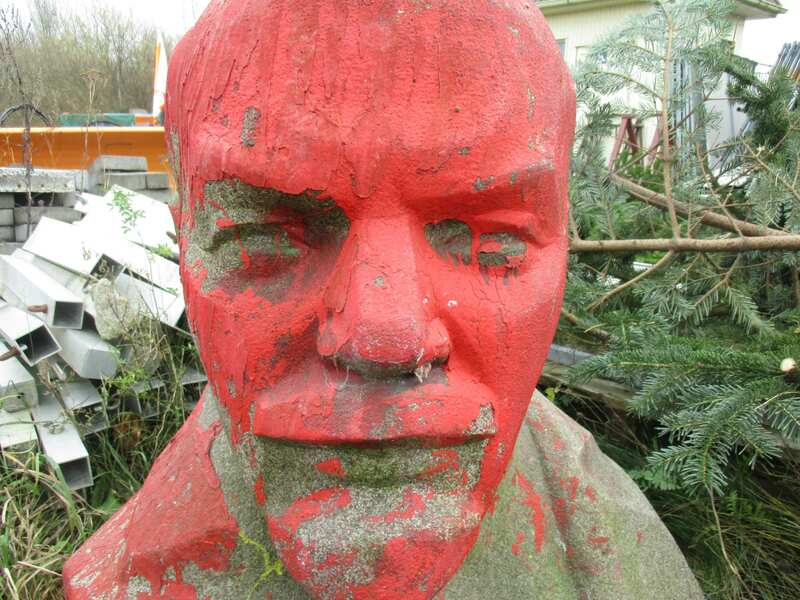 But the act of vandalism carried out in 1990, in which the bust of Lenin in Sassnitz was daubed with red ink, was certainly not meant as a tribute to the Bolshevik revolutionary, but rather as an attack against him. The sculpture, a creation of the Soviet artist N. Gaumig, was almost one meter high and stood on top of a two meter high pedestal. 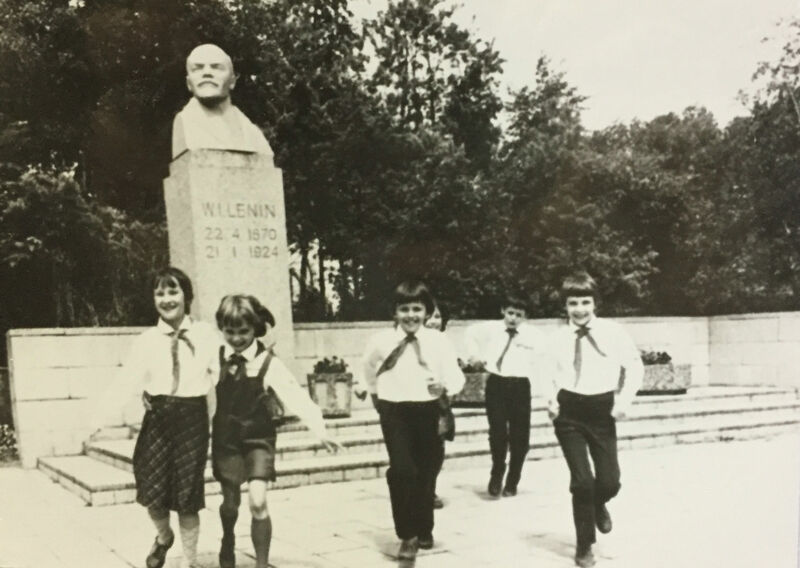 It was a gift of the Communist Party of the Lettish Socialist Soviet Republik, inaugurated the 11th of April 1970, on the occasion of Lenin’s 100th anniversary, right in front of the recently built secondary school (which was named after W. I. Lenin the same day). 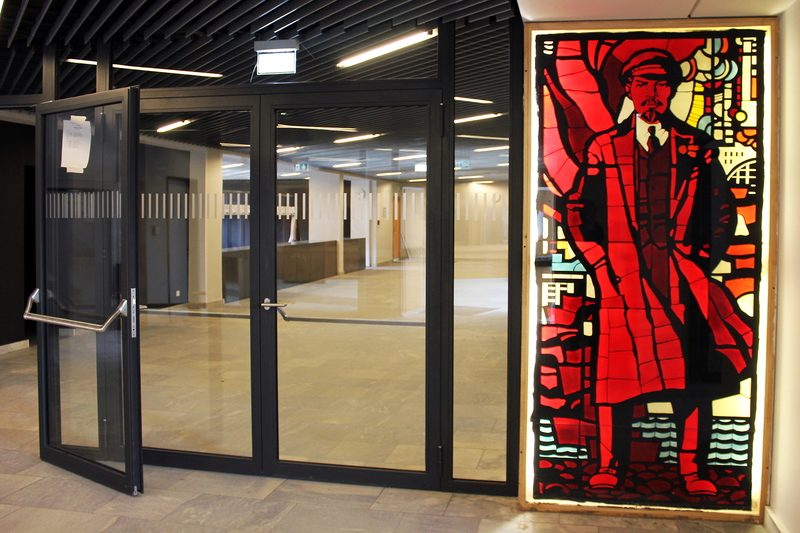 The city of Sassnitz has an historical link to Lenin, since in April of 1917, heading towards Russia in order to start the revolution, he spent a night inside the train in the station of Sassnitz, before taking a ferry boat in order to get to Sweden and carry on the trip to Saint Petersburg. 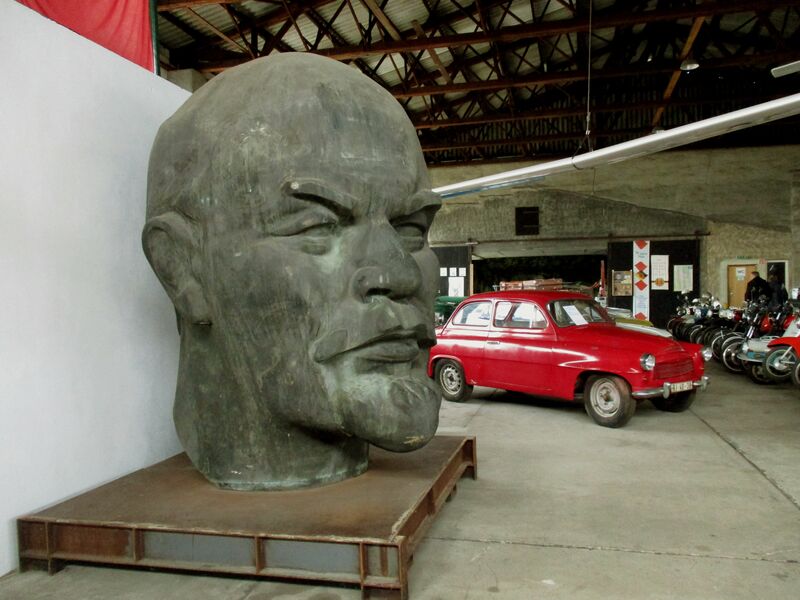 Due to this episode, the figure of Lenin became omnipresent in this little town: Besides the bust, a memorial stone was placed in the center of the village, while in front of the train station a Lenin-museum was opened. Finally, one of the six reliefs composing the Monument to the Victims of Facism was dedicated to him. With the German reunification, the public worship to Lenin came to an end. 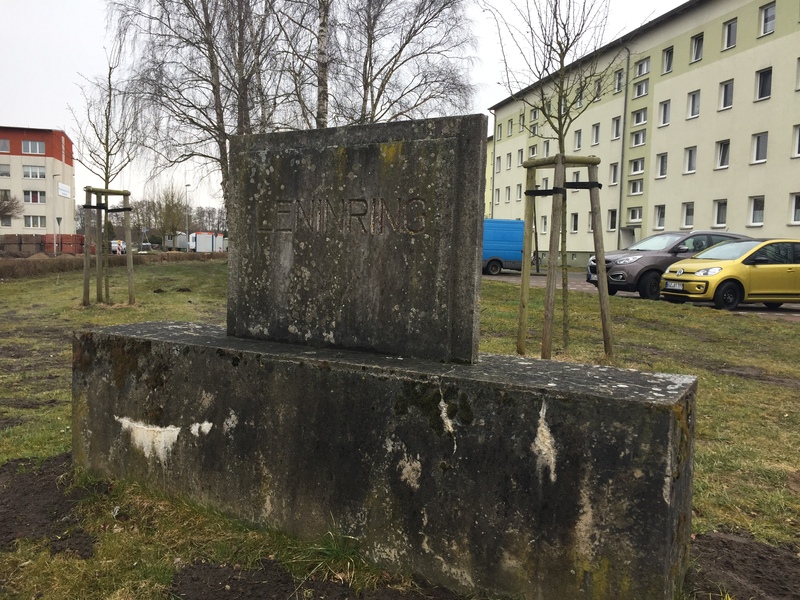 The bust in Sassnitz was removed in January of 1993 and taken to the town depot, where it is still standing today, enrolled in a big plastic tarpaulin. 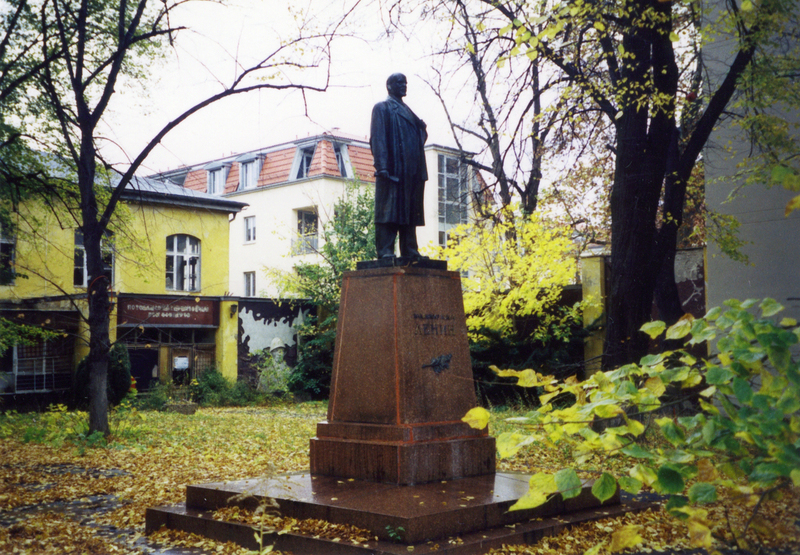 The traces of the attack with red ink are still visible, what turns this monument into a unique relic that reflects the last decades of East-German history, from the foundation of the GDR and the origins of the Lenin cult until the protest against the Socialist government, the reunification and the damage or destruction of most of the symbols of the GDR. Due to its historical value, it could be a good idea to place this monument in a public spot again. It would certainly be a unique opportunity for many people to have a direct contact with the real traces of Eastern-German history. Rot ist bekannterweise die Farbe der kommunistischen Bewegung und der von Lenin angeführten Russischen Revolution. Aber die bis heute ungeklärte Nacht-und-Nebel-Aktion, bei der die Sassnitzer Leninbüste im Herbst 1990 mit roter Farbe beschmiert wurde, war vermutlich alles andere als eine Huldigung an den Revolutionsführer. Sie scheint eher ein Angriff auf die Figur Lenins zu sein, die wie keine andere kommunistische Ikone nach der Wende den ostdeutschen Denkmalsturm zu spüren bekam. Die knapp einen Meter hohe Büste wurde anlässlich seines 100. Geburtstags am 11. 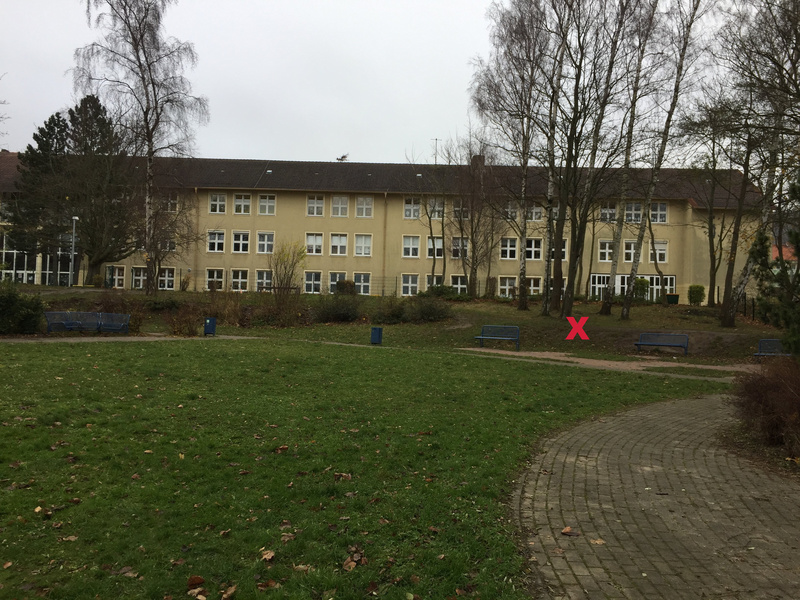 April 1970 vor der neuerbauten Oberschule (die an diesem Tag den Namen „W. 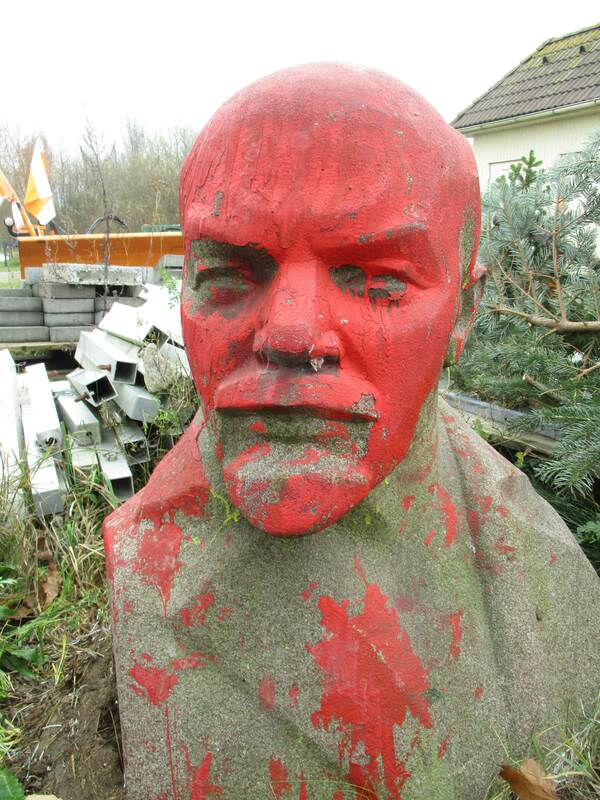 I. Lenin“ bekam) festlich eingeweiht. Die auf einem über zwei Meter hohen Sockel aufgestellte Skulptur aus Stein war eine Schöpfung des sowjetischen Künstlers N. Gaumig. Sie kam nach Sassnitz als Geschenk von der Kommunistischen Partei der Lettischen Sozialistischen Sowjetrepublik. Schließlich hatte Sassnitz einen historischen Bezug zu Lenin: Er hatte hier im April 1917 auf dem Weg nach Russland eine Nacht im Zug verbracht, bevor er am nächsten Morgen in die Fähre stieg und dann über Schweden und Finnland sein Ziel Sankt Petersburg (damals noch Petrograd) erreichte. 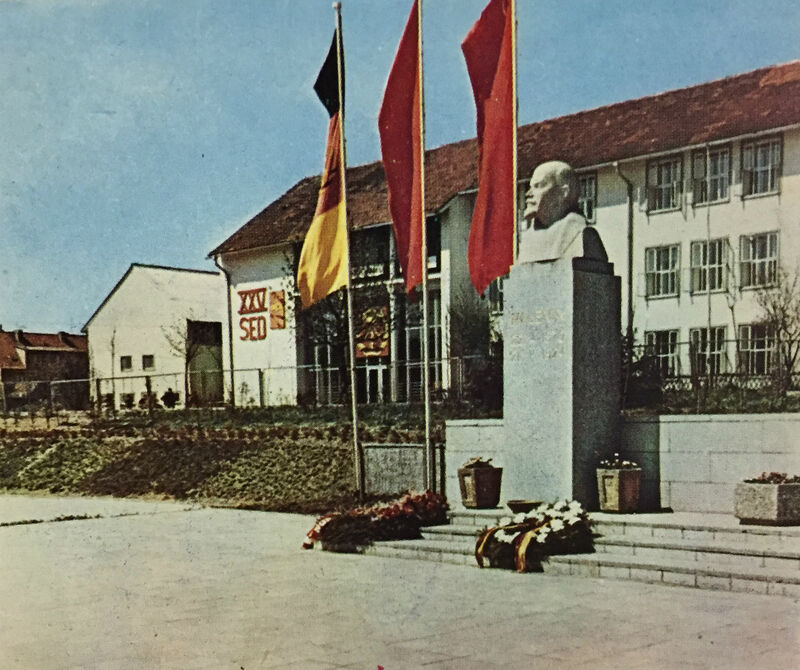 Zu DDR-Zeiten war Lenin in Sassnitz vielerorts vorzufinden. 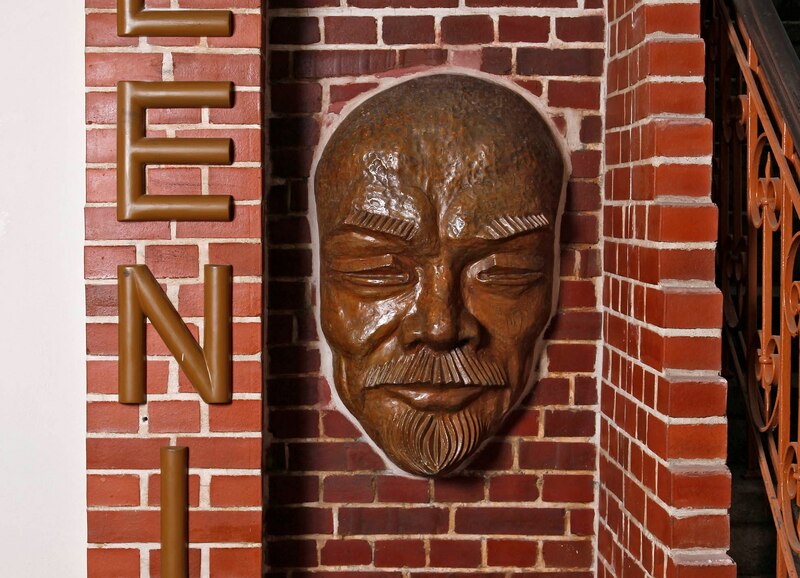 Außer der Büste gab es noch einen Lenin-Gedenkstein,ein kleines Lenin-Museum und am Denkmal für die Opfer des Faschismus war ihm eins der sechs Reliefs gewidmet.